Enhance Your Tropical Experience by Staying At the Exotic Oahu Hotels - Oahu is one of the most beautiful places on the earth and hence it attracts several thousands of tourists each year. As a result the island has several types of places for accommodation of tourists and guests. You can relax and enjoy the services provided by all the top notch Oahu Resorts and Hotels. The Oahu hotels are one of the best places to spend your romantic vacations in Oahu Hawaii. The Hale Koa Hotel is located on the best part of the beach in Waikiki. 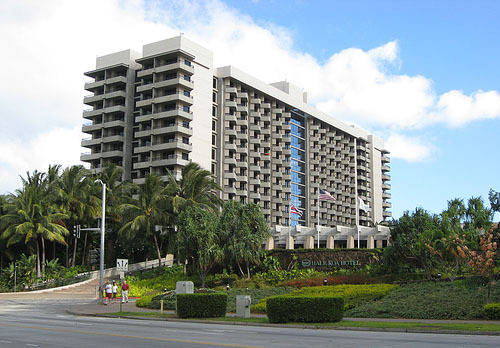 It is one of the best Oahu hotels and offers a plethora of unique services for its guests. Your tropical vacation will become truly memorable with the kind of services this hotel provides. It boasts of an array of dining services that ranges from casual family dining to the elegant one at the signature dining room. It also provides several entertainment opportunities. 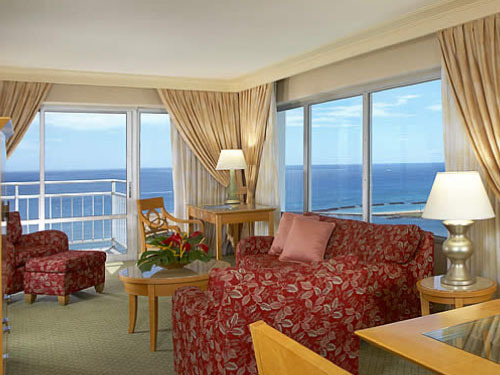 One of the finest of all the Oahu hotels, the Ilikai Hotel & Suites, provides excellent services that would satisfy all its guests. It features all the latest lifestyle amenities for its guests. You can relax on the sparkling blue pool side of the hotel or go for an exotic spa service. The hotel also provides a round the clock work out center for its guests. The rooms and suites have plush comfortable bedding, and are provided with state of art furnishing, big screen television, high speed internet access, and separate workspaces. The hotel also houses the Sarentos restaurant where you can drop in for a fine Italian dining experience in the whole of Oahu. It is located quite close to the Diamond Head State Monument and the USS Arizona Memorial. You can also enjoy grand views of the mountains and the Pacific Ocean from the hotel itself. The JW Marriott Ihilani Resort is located on the western shore of Oahu and it is the most luxurious resort on the island. It is situated on one of the four white sand lagoons on the island. It gives you the ultimate experience of the Hawaiian elegance and boasts of an award winning spa. Apart from the spacious and luxurious accommodations the resort also houses a world-class marina, tennis courts, a championship golf course, and three award winning restaurants. It also has different types of pastimes for all its guests, like water sports, sport fishing, and even other children programs. Thus, we see that the Oahu hotels provide excellent services and you can enjoy your vacations more if you chose to stay at one of the exotic and luxurious hotels on the island. Share Your Oahu Hotels or Hawaii Vacation: We're looking for stories, tips and experiences from any Oahu vacation you've been on. Why not take a few moments and Share it with everyone!